Perhaps in response to iRobot's recent Wireless Command Center, Sharp has introduced a new Android app that lets you remotely control the company's little Cocorobo while you're out of the house. You can map out your floor plan so that it'll know what objects to avoid, specify cleaning patterns and even receive carpet-view photos so you can admire the robot vacuum's handiwork. If you attach an optional Navi controller to its USB port, you can even use the app to control other Sharp devices like televisions, air conditioning systems and LED lights. 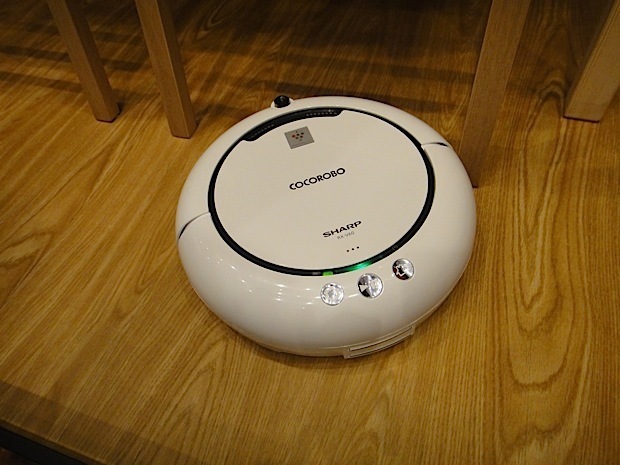 Sharp also introduced a smaller version of the Cocorobo, the RX-V60, which measures about 4.7cm less than the original. Designed to fit in tighter spaces, the RX-V60 will be available in Japan for 75,000 yen ($900) starting December 13th. Check out the video after the break to peek at the new smartphone app and miniaturized vacuum 'bot.